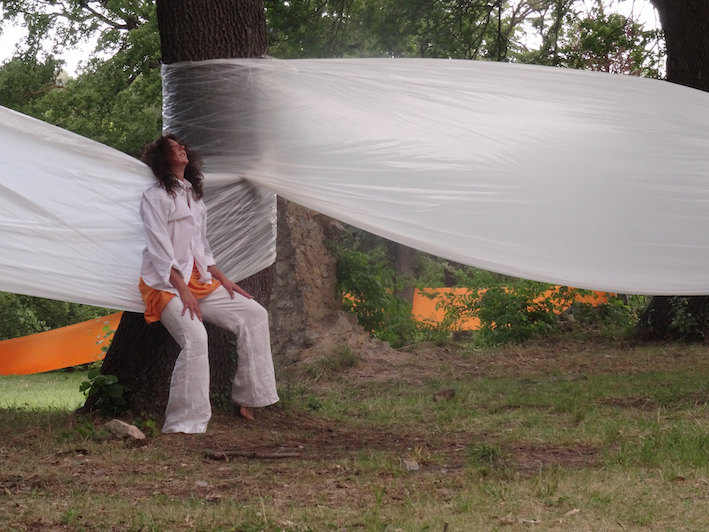 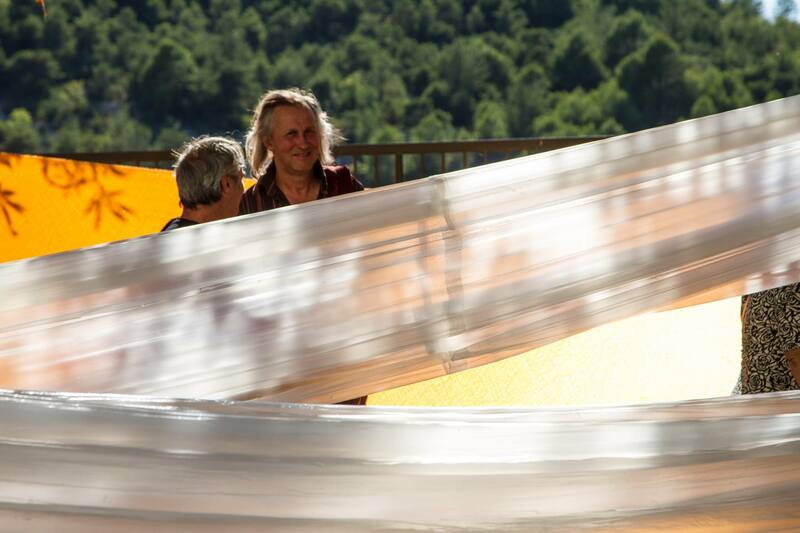 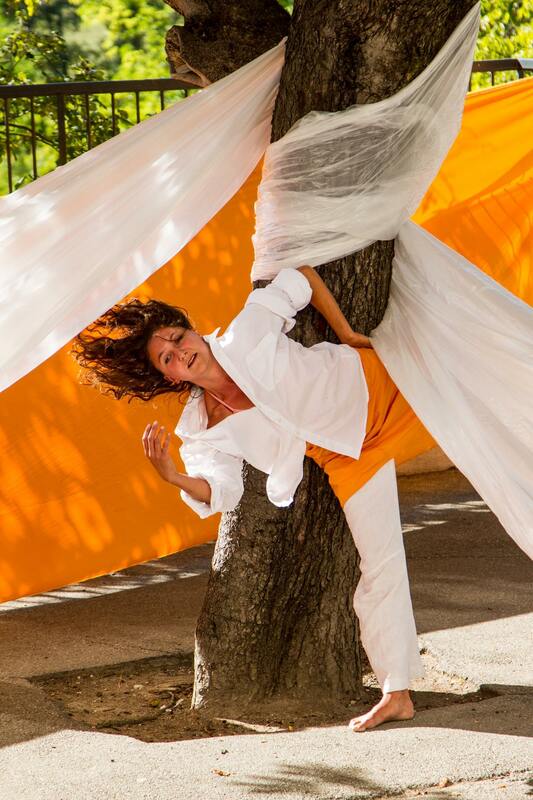 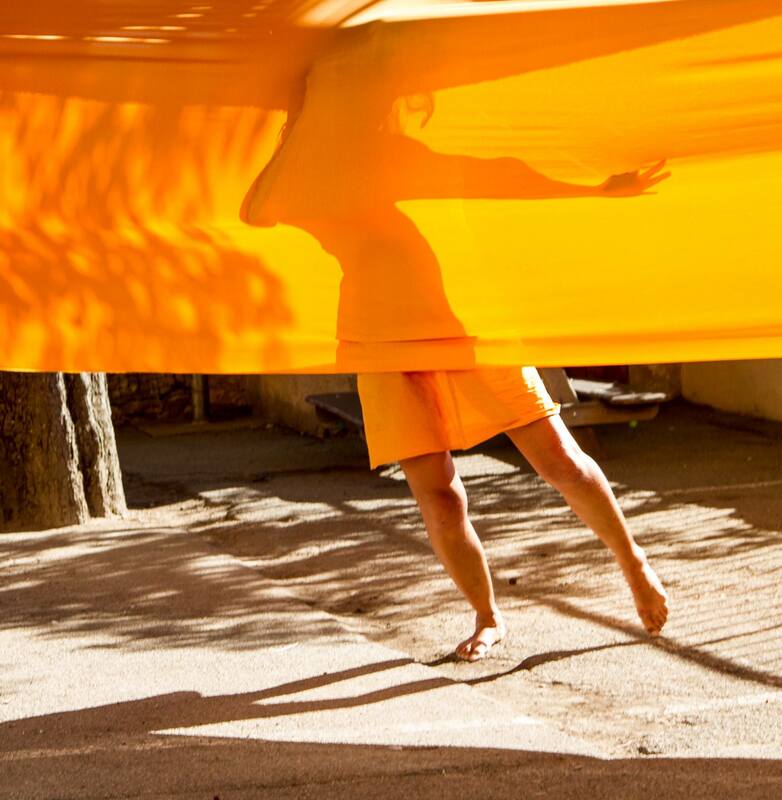 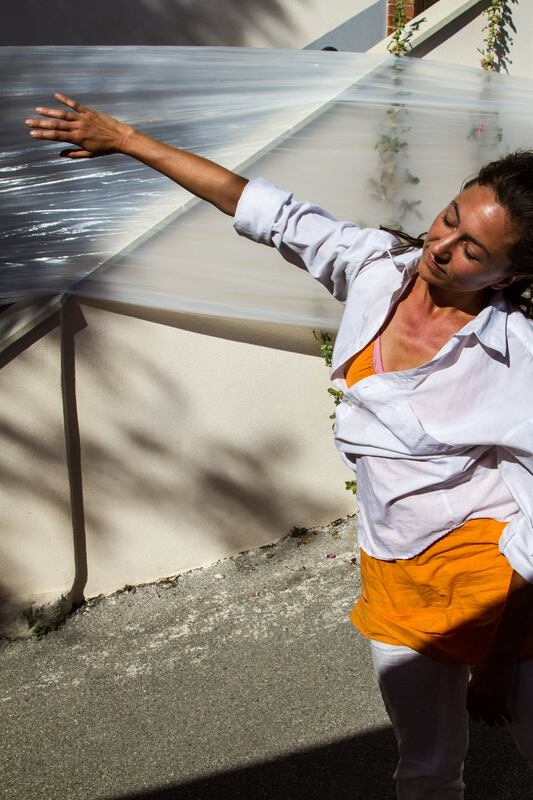 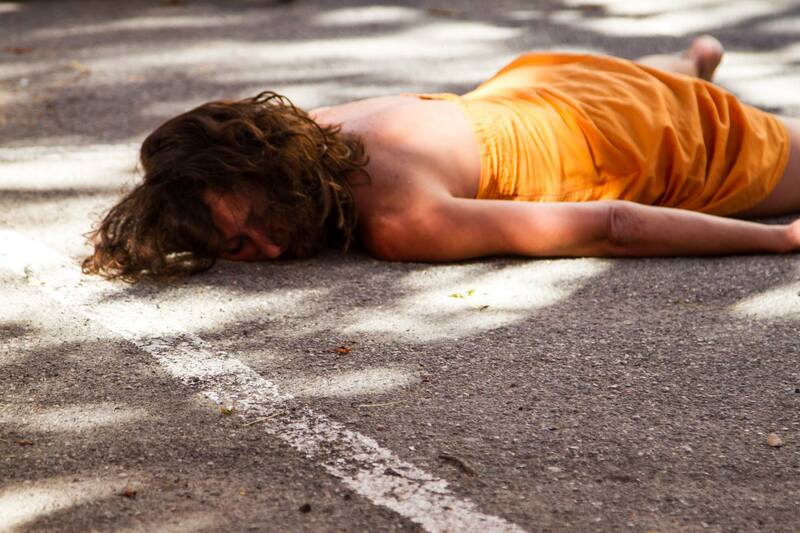 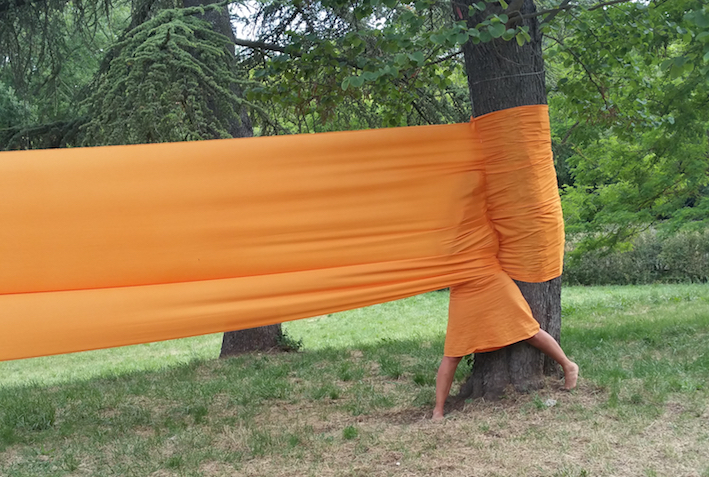 Etendues poreuses is a site-specific performance, developed initially for the parc and public space close to the Mac Arteum, a museum for contemporary art at Chateauneuf le Rouge, near Aix en Provence in South France. 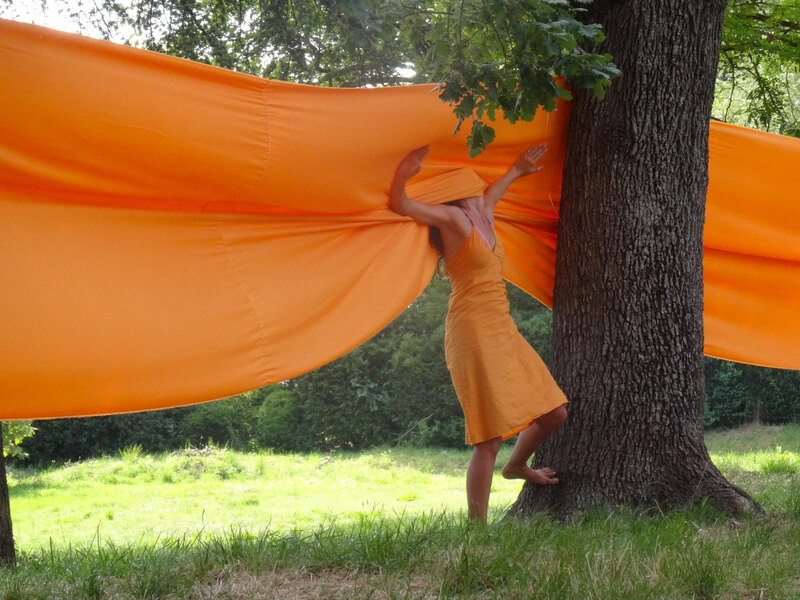 It is a performance and an activated installation in three "pictures" and two main colors, questioning the relationship with landscape in an organic, cellular and visual way. 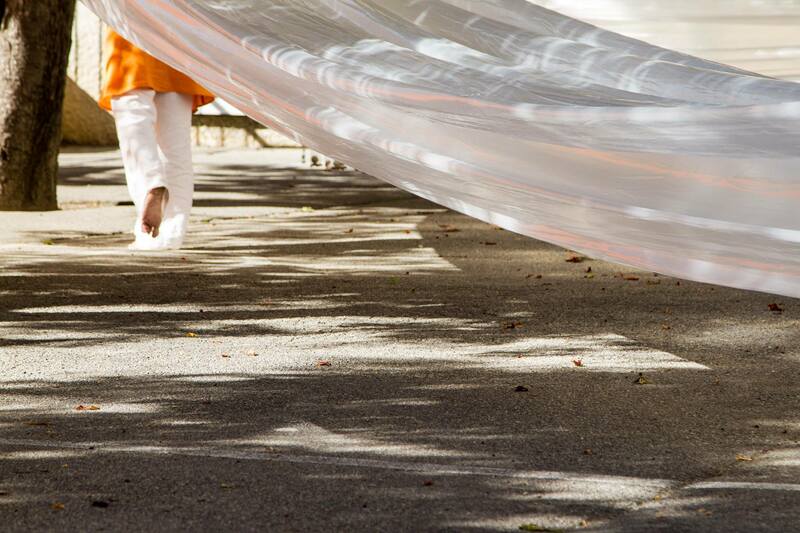 The installation is like a huge and moving drawing itself, a way to guide the eyes of the visitor. 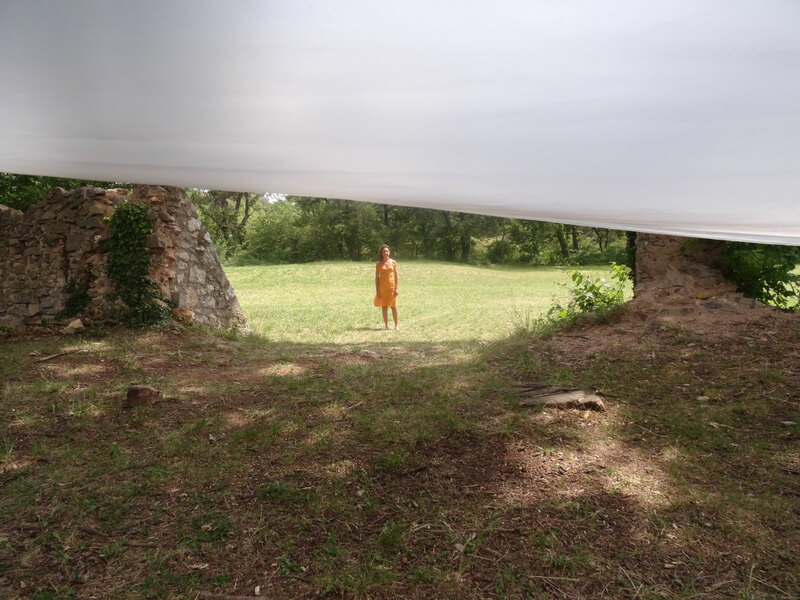 This piece always adapts to the place where it's gonna be performed, it investigates places which are usually not dedicated to art and is an invitation for the public as well as for the people passing by spontaneously to rediscover and experience that site in a new way and through unusual viewpoints. 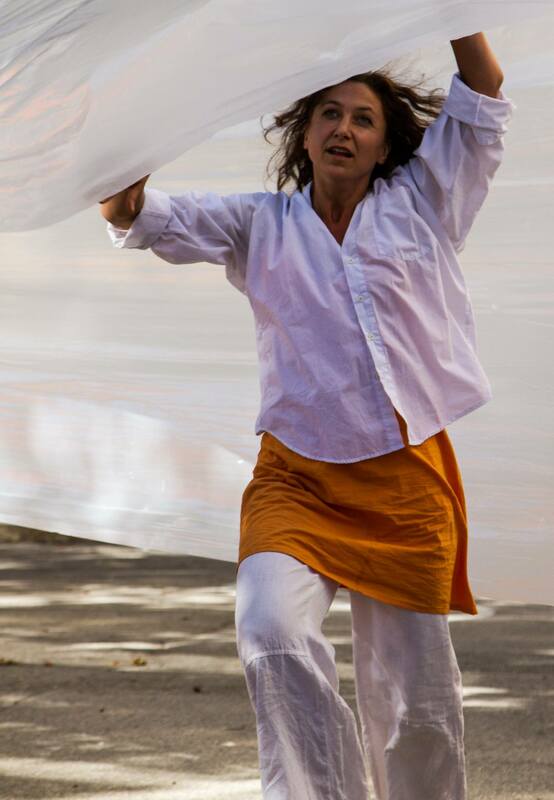 This performance was invited in another context: a local festival in the alps of Provence, called: Les trois jours de Sigonce. 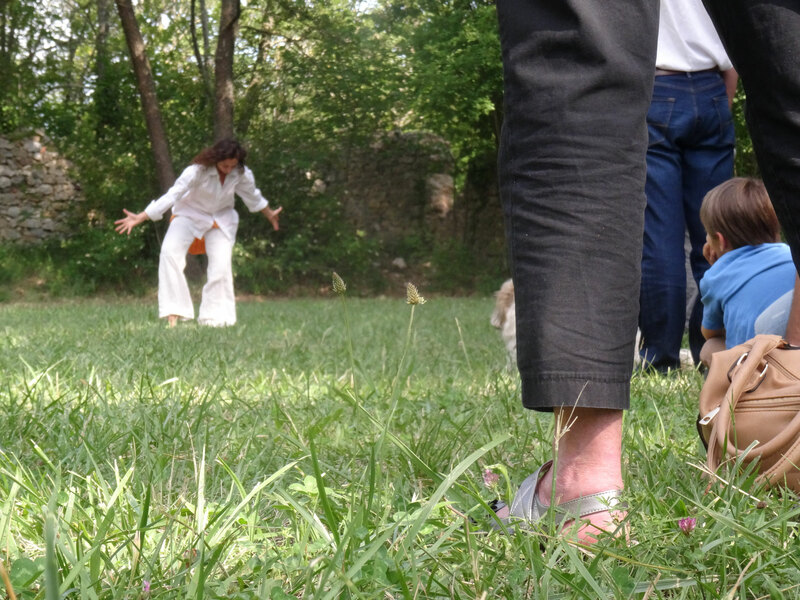 It was well received by visitors of all age.